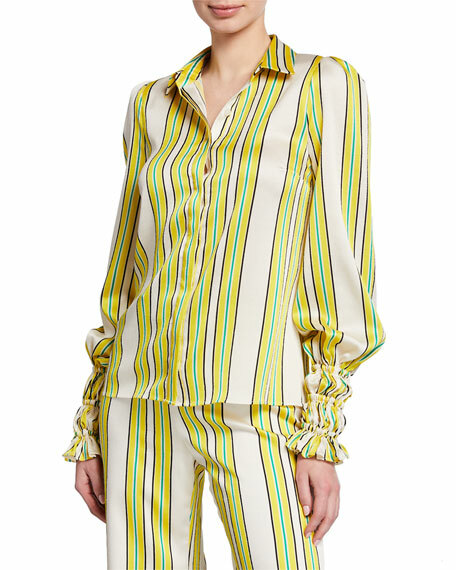 Haute Hippie "Vivien" satin blouse. Off-the-shoulder neckline seamed on neckline. For in-store inquiries, use sku #2265124. 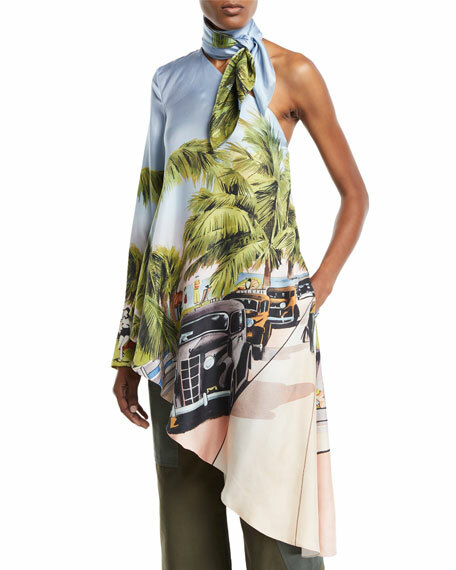 Monse tunic with Miami postcard print. 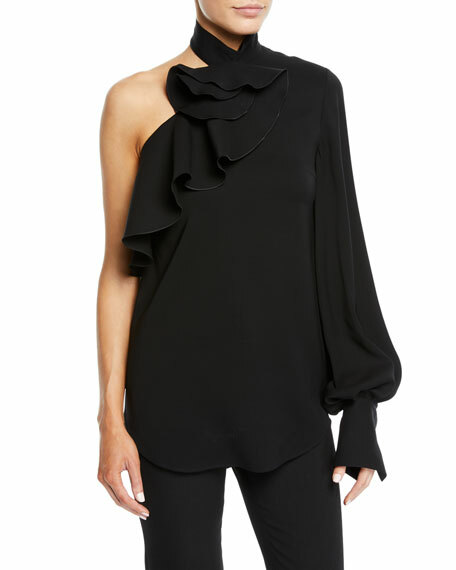 Scarfed, one shoulder neckline. Long sleeve. Draped fit. Asymmetric hem. Pullover style. Silk. Made in USA of imported material. Model's measurements: Height 5'10"/177cm, bust 31"/79cm, waist 24"/61cm, hips 34"/86cm, dress size US 0/2.